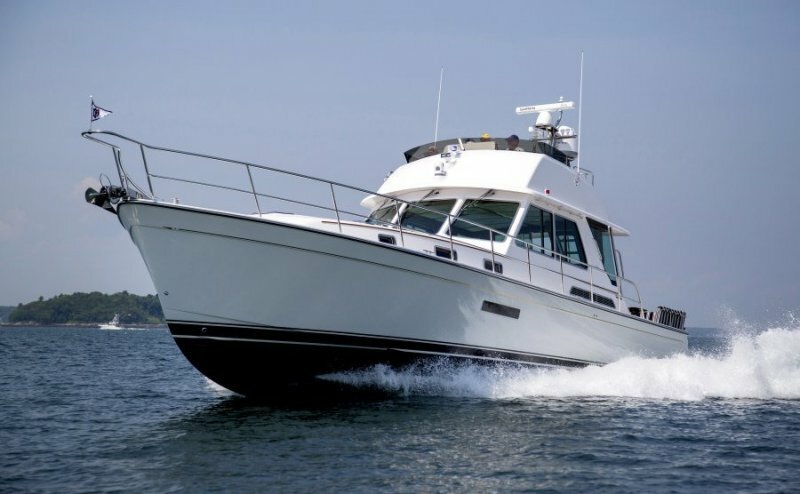 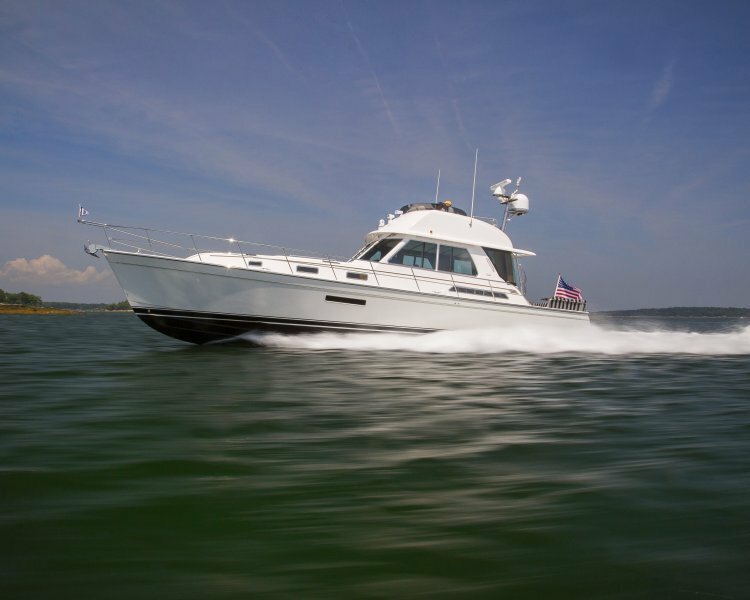 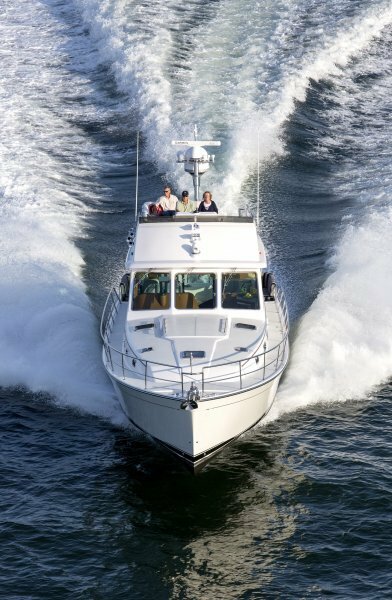 The Sabre 54 Fly Bridge: An Enhanced Cruising Experience. 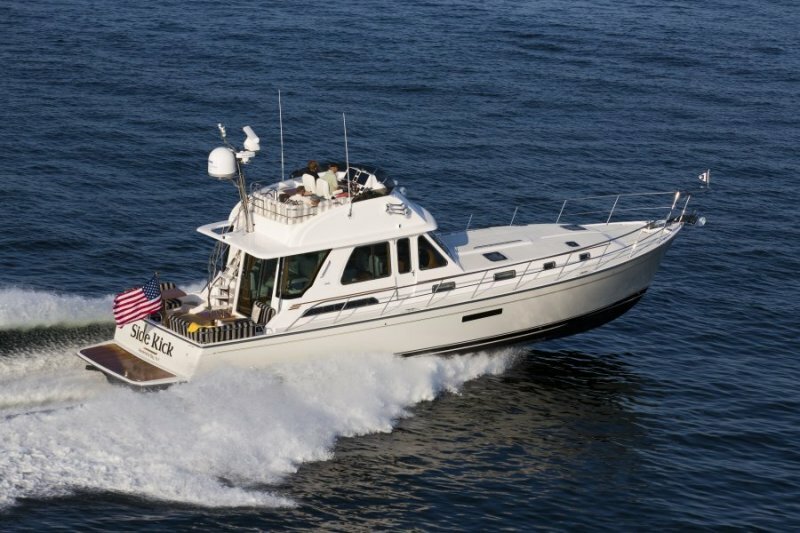 Sabre developed our 54 Fly Bridge with input and suggestions from our owners in mind. 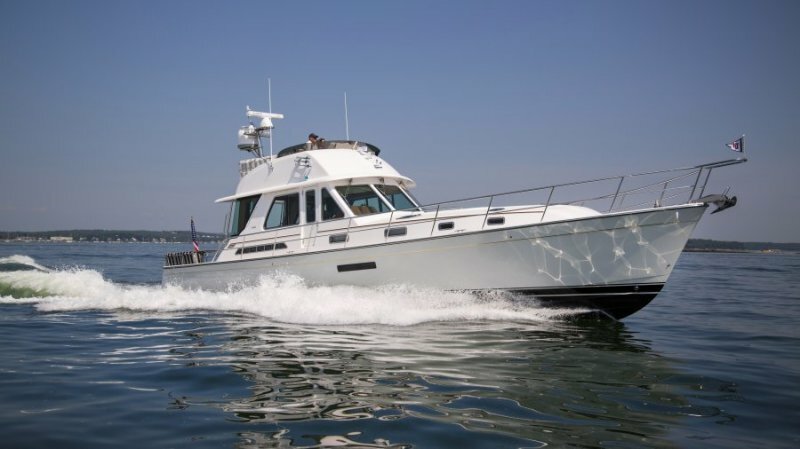 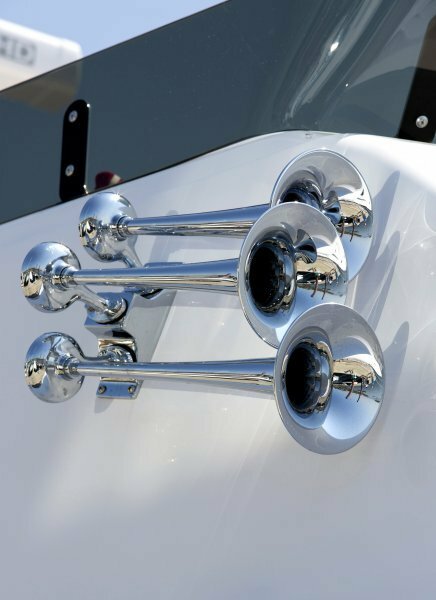 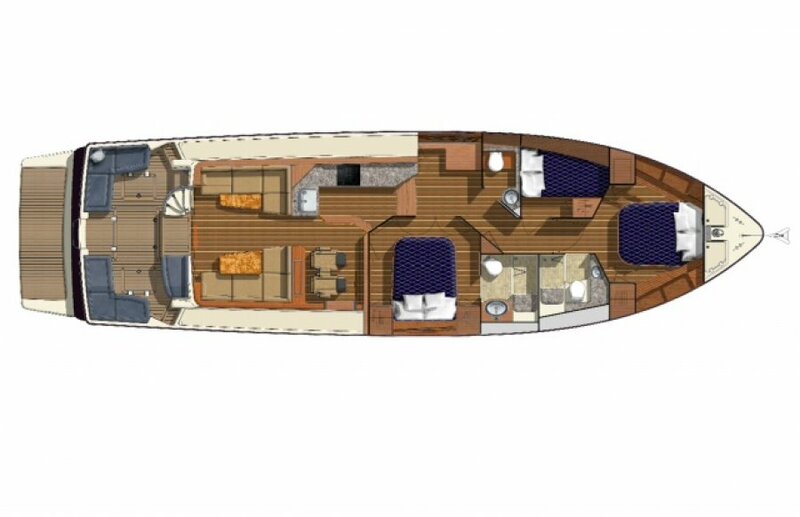 The Sabre Design Team created a yacht that offers owners not just a boat, but an experience. 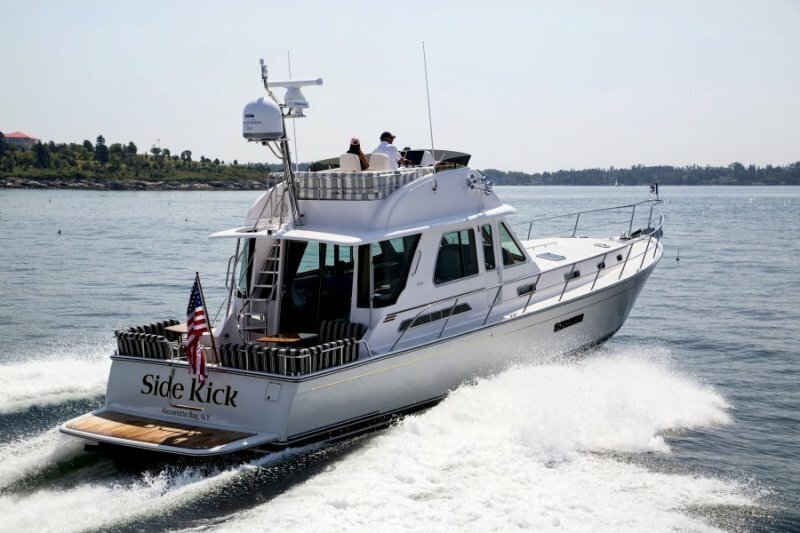 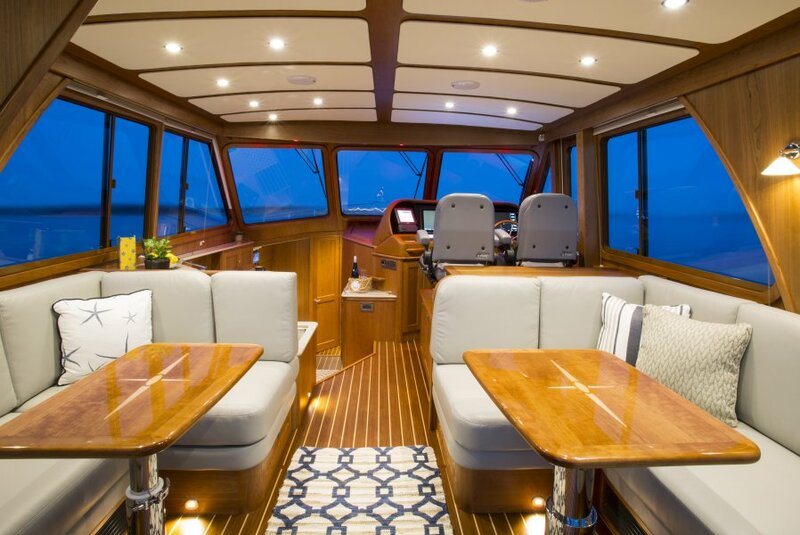 Featuring a comfortably organized fly bridge complete with L-shaped settee and captain and mates seat, plus all the amenities available in our Salon Express series. 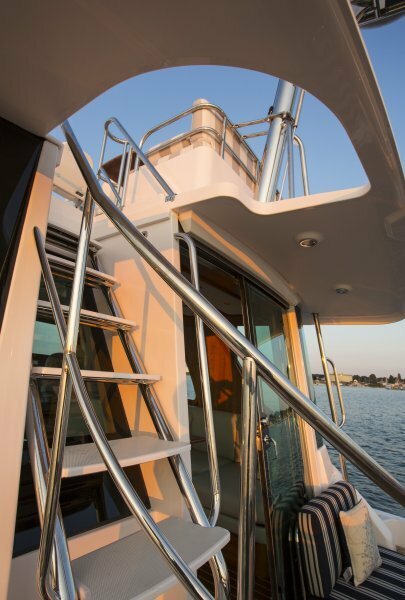 The curving stairs leading from the cockpit to the bridge are both visually graceful and well designed, ensuring you feel secure while ascending or descending. 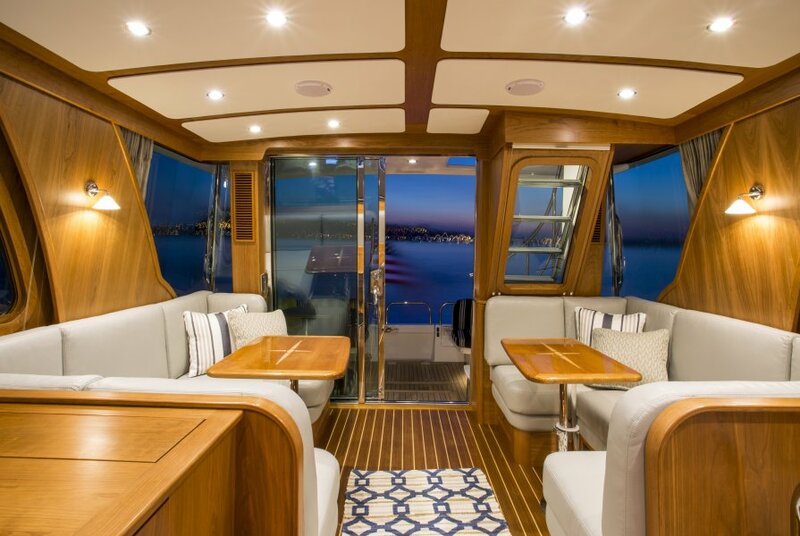 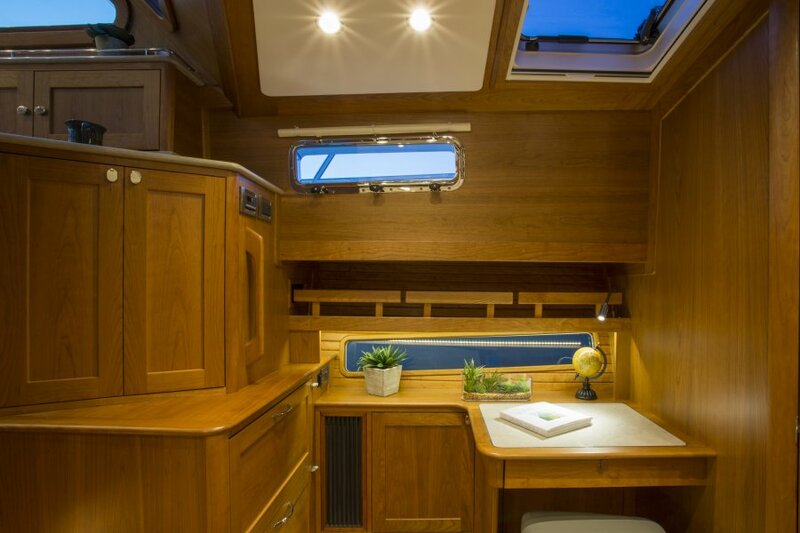 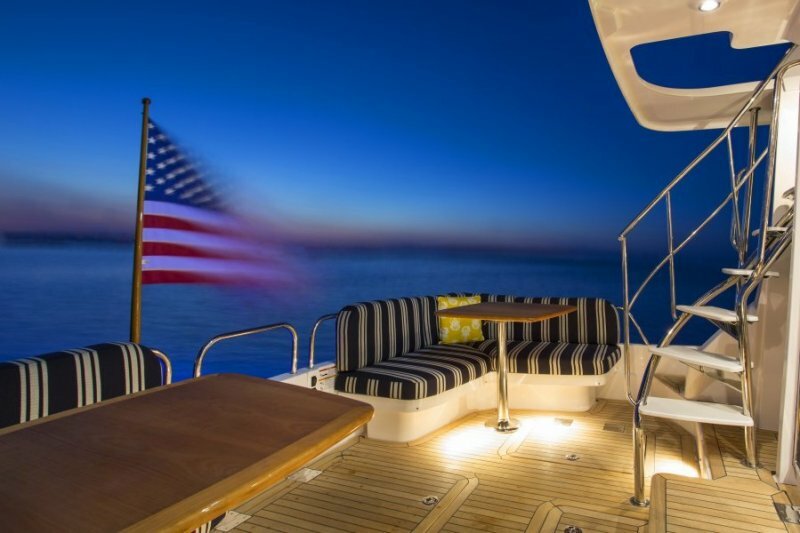 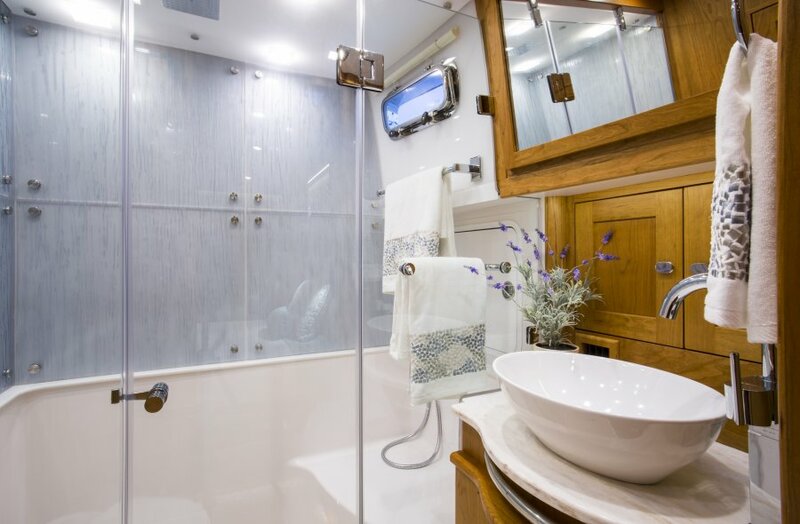 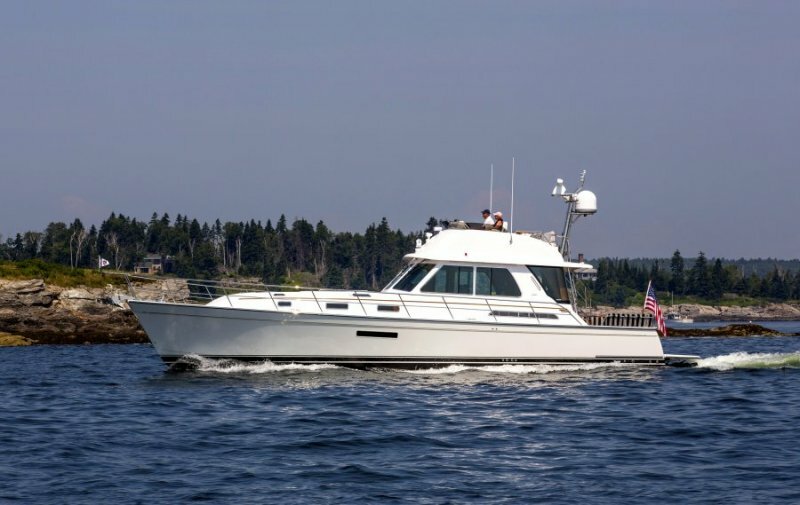 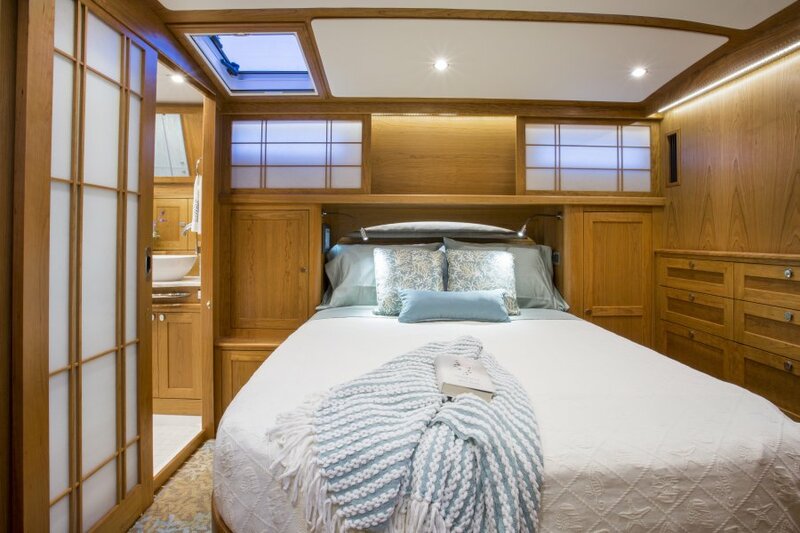 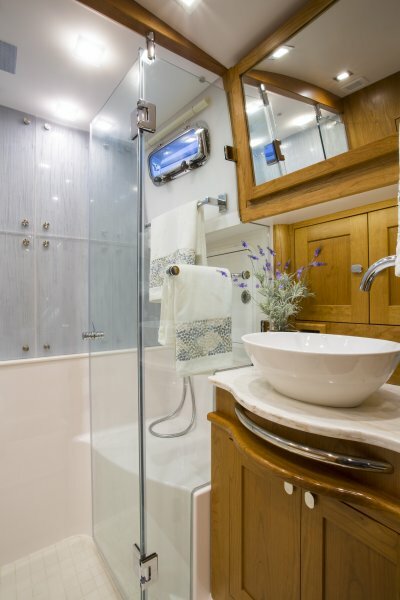 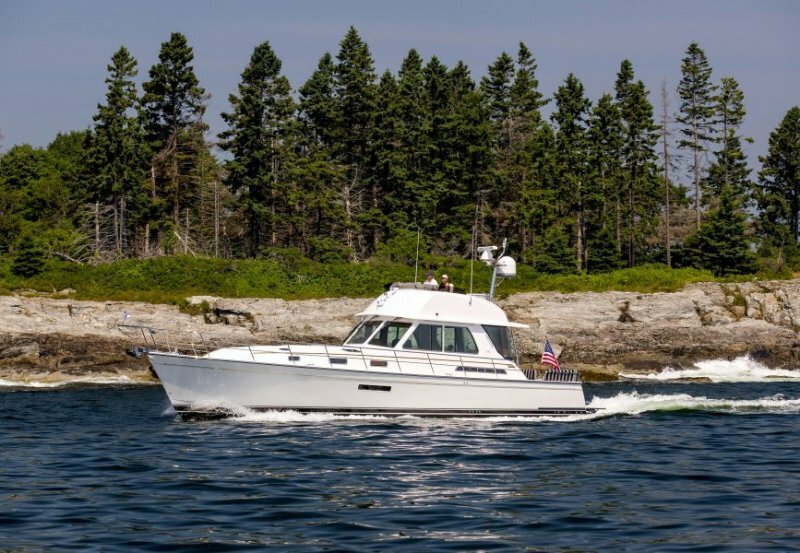 The interior accommodations aboard the Sabre 54 Fly Bridge are sophisticated and welcoming, offering three berths, two heads, a half-up galley, and a spacious salon. 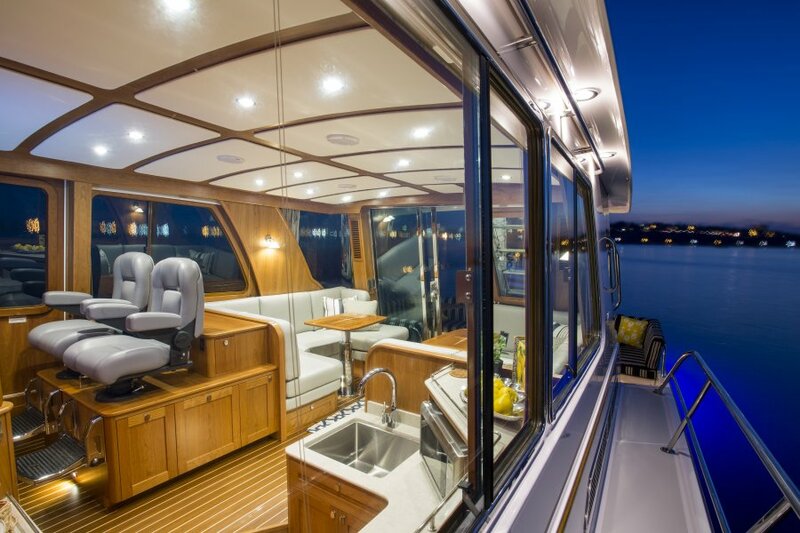 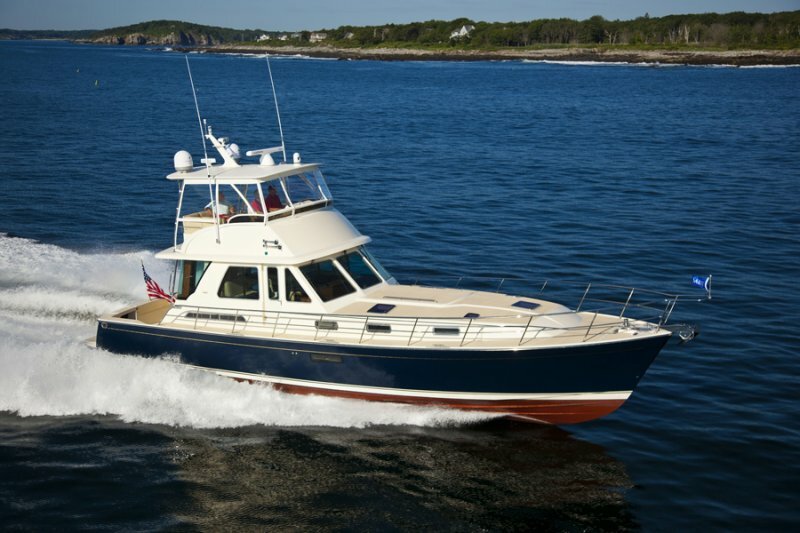 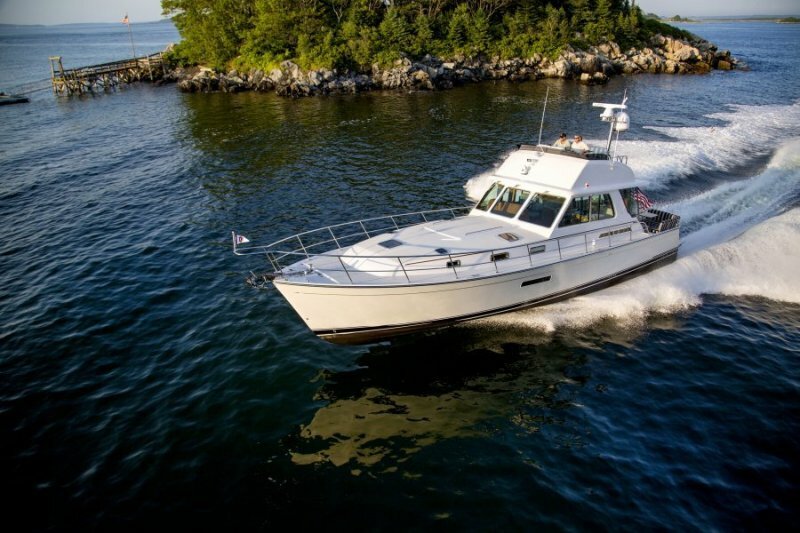 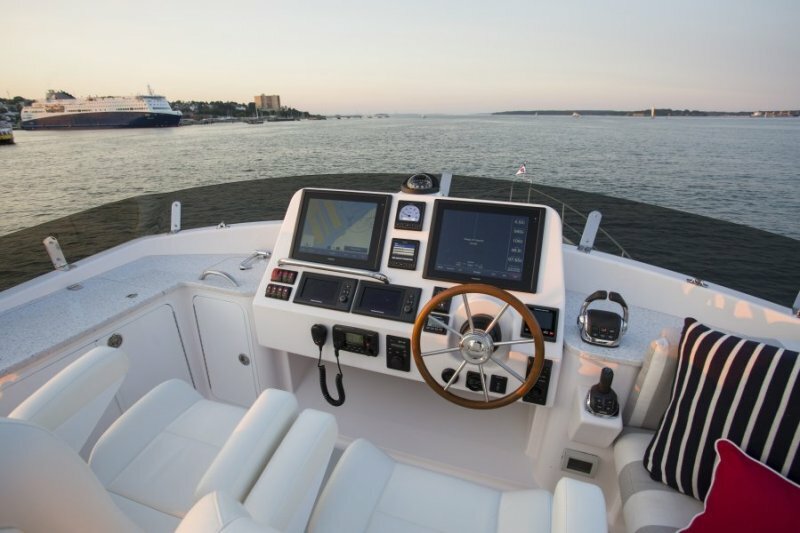 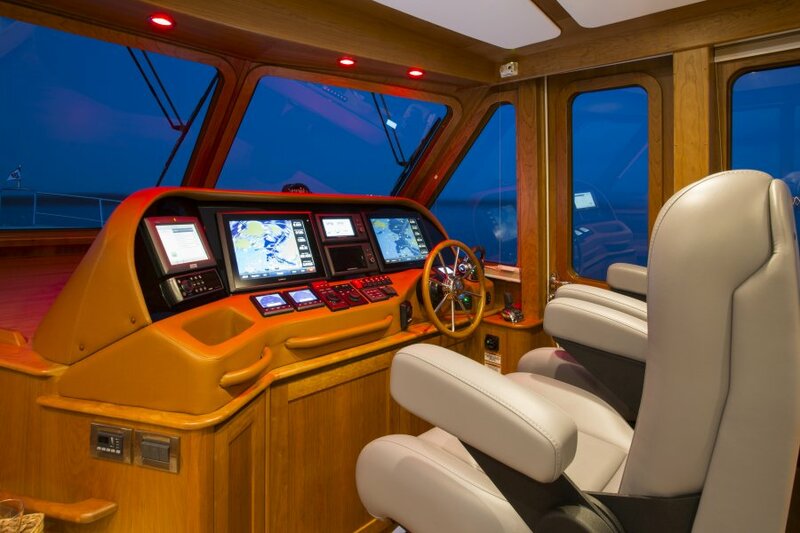 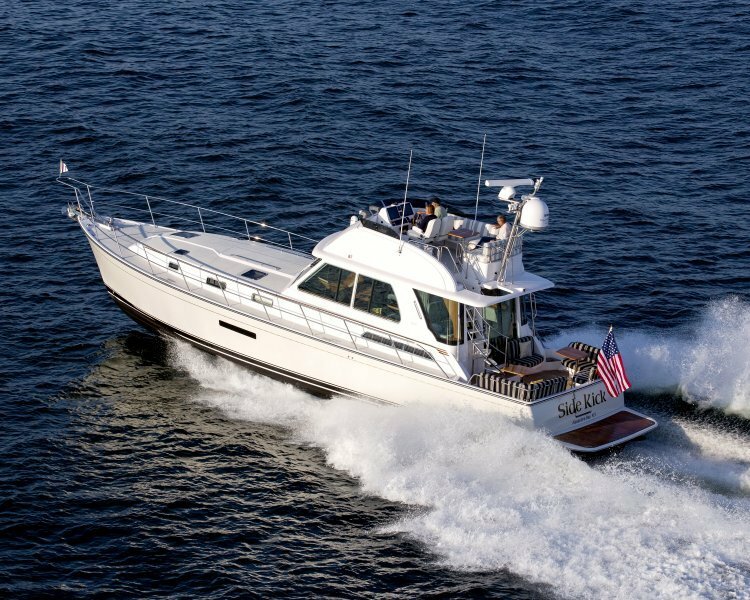 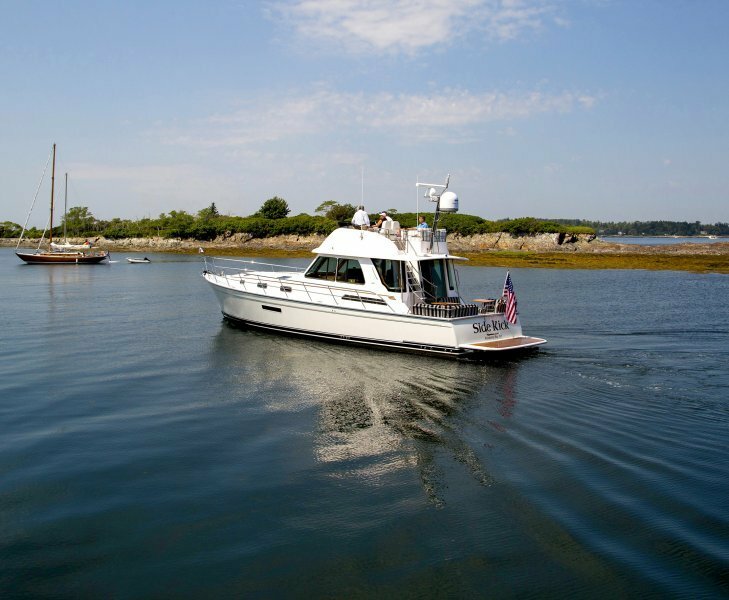 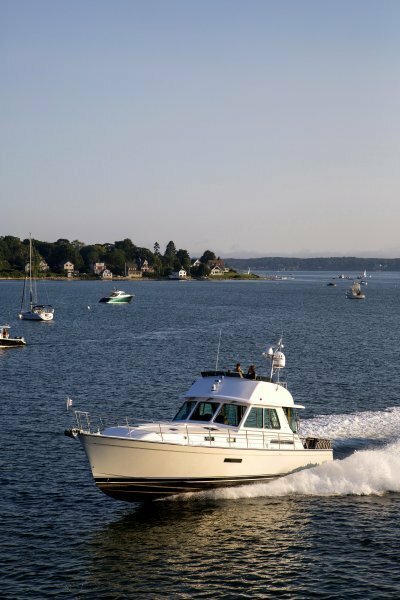 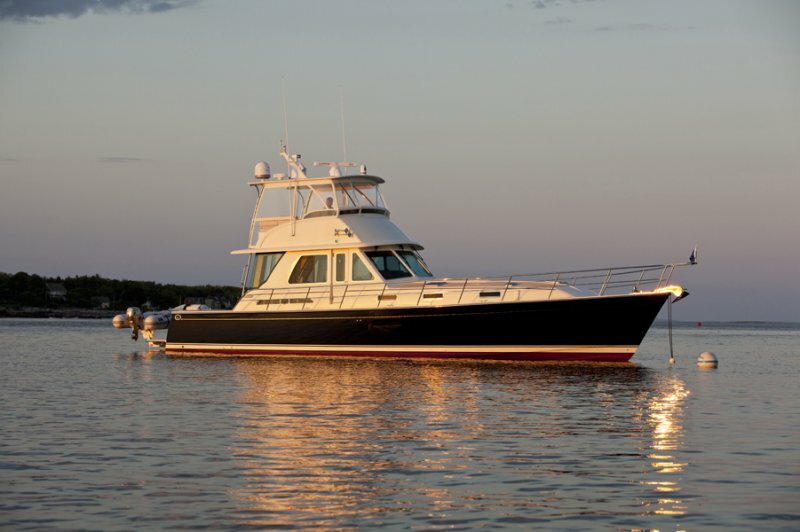 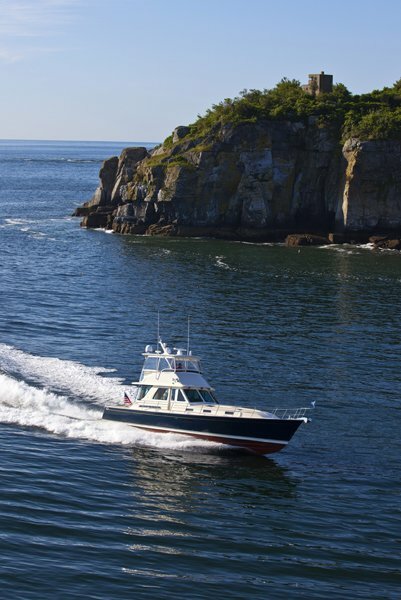 The 54 Fly Bridge provides everything necessary for hosting guests and for spending extended time aboard. 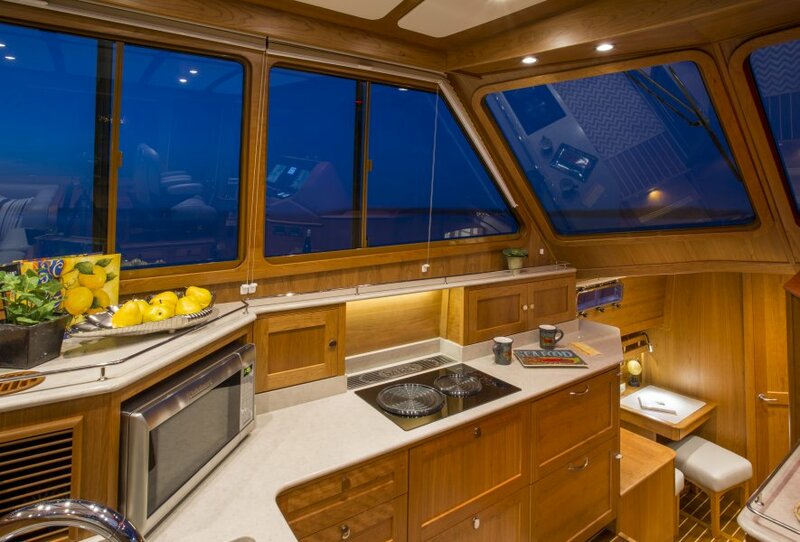 Beautiful woodworking, pleasing proportions, and elegant details such as maple inlays and Shoji screens in the owner’s cabin doors, create an atmosphere of luxury, warmth, and energy in the elegant Sabre 54 Fly Bridge.